Home / Posts / Parks / Aquatica / Help UK wildlife by having EVEN MORE fun in Florida! Help UK wildlife by having EVEN MORE fun in Florida! 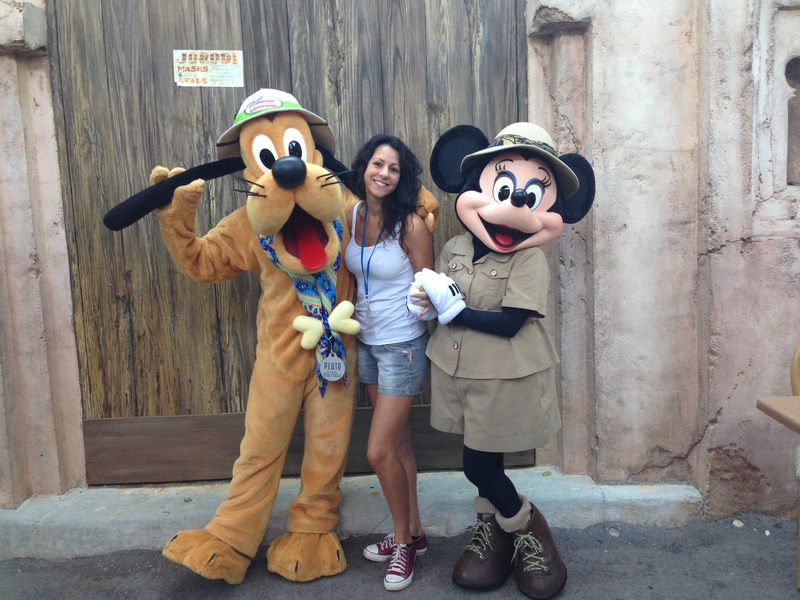 There’s now an EVEN BETTER reason to book an interaction, behind-the-scenes tour or more exciting add-ons with your Florida theme park tickets, because when you do, you’ll be helping our wildlife too! Some of Florida’s biggest theme parks have launched the ‘Fun 2 Fund’ initiative, which will donate $2 to UK-based wildlife charities for every theme park “add-on” experience that’s pre-booked by a UK customer. 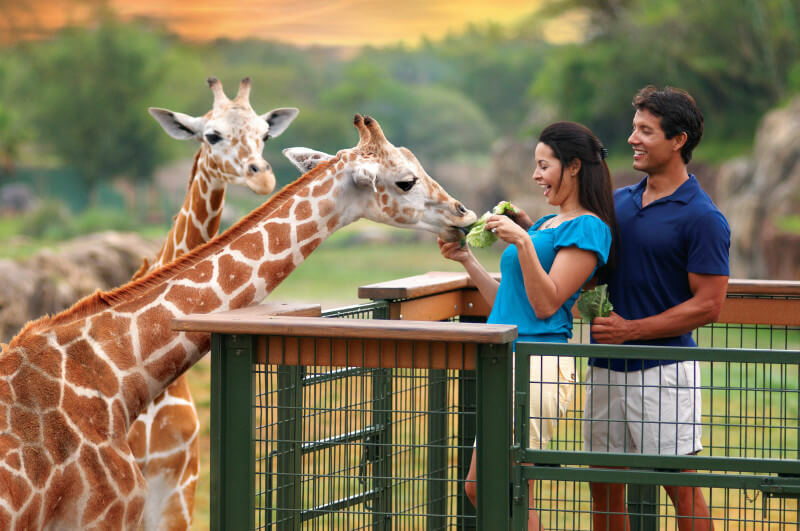 Be prepared for amazing photo opportunities on this open-air expedition onto Busch Gardens’ Serengeti Plain where you can get up-close to the African animals and even feed a giraffe a leafy snack! Add this amazing underwater walking tour to your day at Discovery Cove, with sea creatures swimming all around and above you! No diving experience is required for this incredible experience, just a healthy sense of adventure! Take an exclusive 90-minute tour behind the scenes at one of Florida’s biggest theme parks! 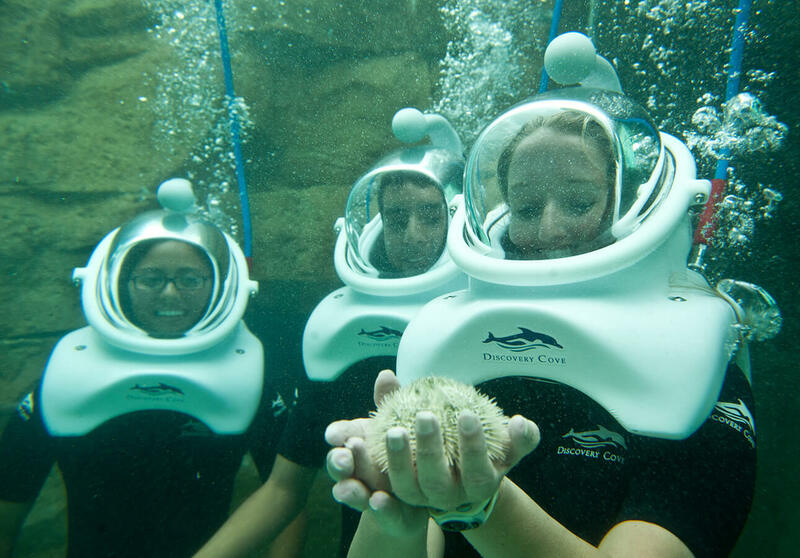 Learn how they care for rescued manatees and sea turtles, get up-close with an adorable penguin and even meet a shark! Eat as much as you like with unlimited visits to the delicious all-you-can-eat Banana Beach Buffet – all day for one low price! Eat at some of SeaWorld’s best restaurants all day long for one low price. No need to worry about how much you’re spending on food – just enjoy! Theme park admission is not included with these tickets – you must be in possession of a separate admission ticket to the relevant theme park in order to book and participate in these add-on experiences.